Outdoor clothing company Patagonia is calling out President Trump and his administration as liars regarding the role that fossil fuels played in the administration’s recent public land decisions. 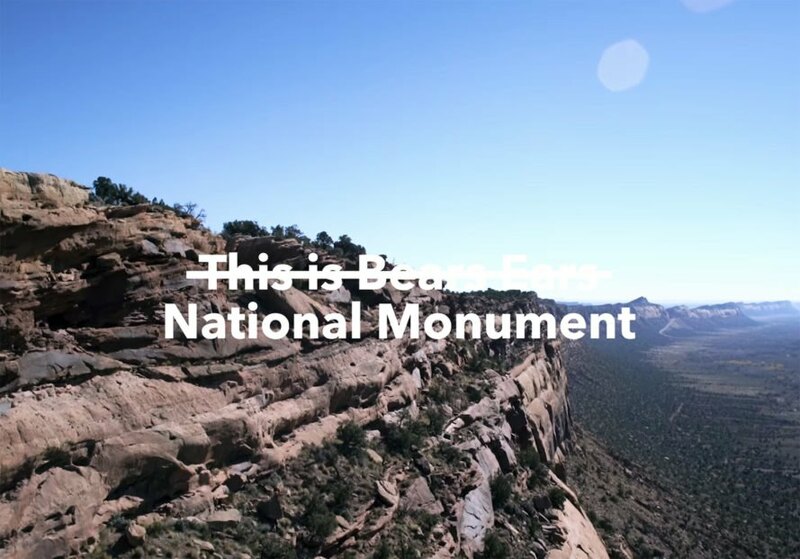 When the Trump Administration announced that it would shrink Bears Ears National Monument, Patagonia embarked on an activist campaign that featured the words “The President Stole Your Land” against a black background. In light of the recent evidence that shows the administration lied to the public about its motivation for changing the boundaries, the company added “And You’ve Been Lied To,” highlighting the way in which land belonging to all Americans has been sold to the highest bidders. In a video on their website, Patagonia states “the five indigenous tribes that call this place home set aside their differences and asked President Obama to designate Bears Ears as a national monument.” After a century of struggling to protect the area, Obama finally made it happen in 2016. But right after Trump took office, it became clear that Bears Ears was in the new administration’s crosshairs. In addition to its bold text message, Patagonia also published a blog post entitled It Was Always About Oil, Coal, Gas and Uranium, in which the company elaborates on its stance against the current administration. “The redrawing of boundaries was deliberate and directly influenced by an industry that spends millions of dollars lobbying the government to get what it wants,” said the company in a statement. The idea that the administration was motivated to shrink Bears Ears and nearby Grand Staircase-Escalante National Monument in order to extract resources from the ground was initially refuted by US Secretary of the Interior Ryan Zinke. “We also have a pretty good idea of, certainly, the oil and gas potential—not much! So Bears Ears isn’t really about oil and gas,” said Zinke. However, scores of documents obtained through Freedom of Information Act requests paint a different picture. “The Kaiparowits plateau, located within the monument, contains one of the largest coal deposits in the United States,” reads one Interior Department memo, referring to the Kaiparowits plateau on which Grand Staircase-Escalante is located. The oil and gas industry have also expressed interest in developing 90,000 acres of land along the eastern edge of Bears Ears. Up to 500,000 tons of uranium could also be extracted from the ground over the next twenty years if permitted by the administration. This is of particular concern for the Navajo Nation, which has had its drinking water supplies contaminated by the more than 500 uranium mines that have operated in the region. While court challenges against the administration’s move are pending, Patagonia urges its customers to take action. “It is your voice and your vote that are the two most important tools we have to remind elected officials that Americans—everyone from sportsmen and women, to outdoor enthusiasts, to conservationists and the tribes who have known these lands longer than anyone—want public lands protected,” said the company in a statement. Patagonia's message in opposition to the President of the United States. 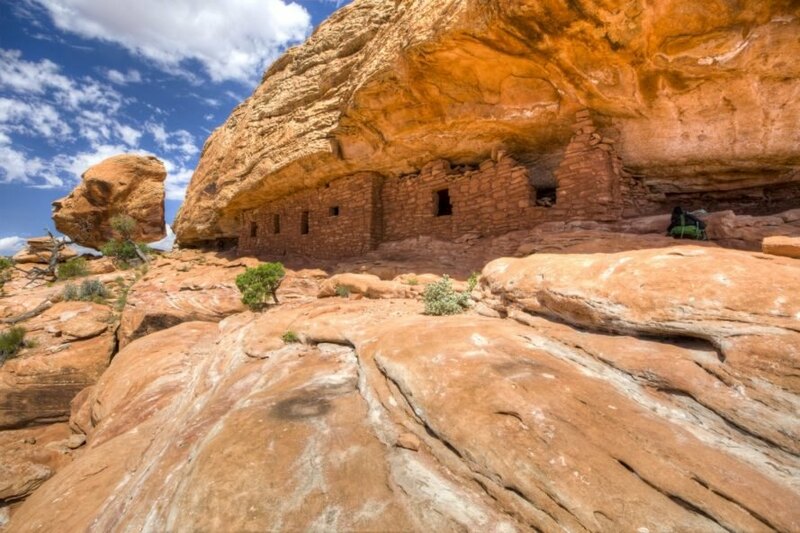 The Citadel Ruins, remnants of Anasazi cliff dwellings in Bears Ears National Monument.